You are looking at one of the cleanest, most original V12 E-Types we have seen in some time. This is a one-family-owned vehicle that we have known and serviced for many years. It is an original, accident-free, rust-free California car with 38,000 original miles. The car has always been well cared for and maintained and has recently received some significant attention, including a completely re-built front suspension with new steering rack, re-sealed cam towers and valve adjustment. Everything on the car is in working order, including an A/C that blows cold. The interior is in like-new condition and shows very little wear. The paint is very nice and has just has a few very minor chips. The car starts right up and runs and drives excellent. 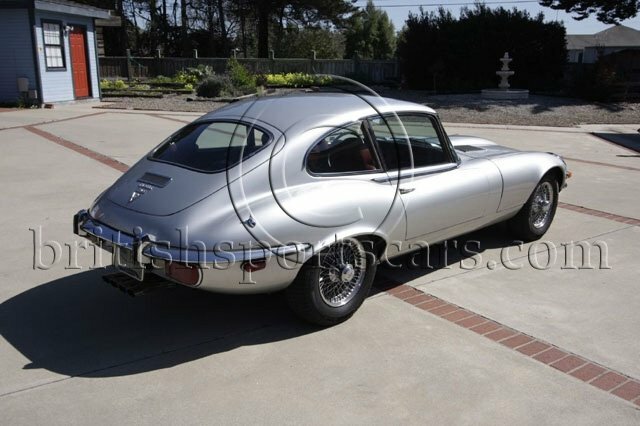 If you are looking for a nice V12 E-Type, you would be hard pressed to find a nicer vehicle. Please feel free to ask any questions you may have.